ATLANTA, GA – SEPTEMBER 14, 2015 Aspirent was named by The Atlanta Business Chronicle a recipient of the “100 Best Places to Work in Atlanta.” This is Aspirent’s first year in business, and the first year on Atlanta Business Chronicle’s list, achieving a ranking of #46. The recognition reflects Aspirent’s growth in Atlanta and highlights dynamic opportunities for Aspirent’s Consultants to work in one of Management Consulting’s fastest growing companies. “We are thrilled to be recognized by the Atlanta Business Chronicle as one of the best places to work in Atlanta after only our first year in business. This honor pays tribute to how we operate as a business to both empower our employees and provide value to our clients through our diverse consulting offerings” said Andrew Wells, Founding Partner and CEO of Aspirent. 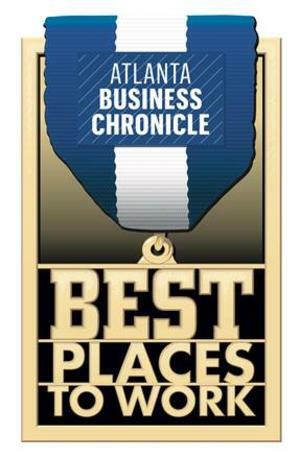 Recipients of the 2015 “Best Places to Work” were selected based on the results of a weighted survey of employees and conducted by The Atlanta Business Chronicle in partnership with Quantum Workplaces. Aspirent and the rest of the 100 Best Places to Work in Atlanta were honored in a ceremony at the Georgia Aquarium on September 10, 2015. 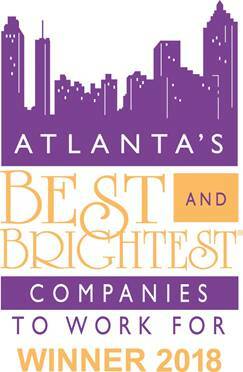 To see the full list of the Atlanta Business Chronicle’s Best Places to Work, click here. Aspirent is an employee-owned, local-model, management and execution-consulting firm, focused on helping companies to gain a competitive advantage with their data resources. Our practice areas include Data Science & Analytics, Management Consulting & Strategy, Business Architecture & Project Execution, Information Management, and Application Development & Experience Design. We work with clients in diverse industries, and employ only top talent, giving them a personal stake in our firm’s success. We Aspire to transform the way professional services are delivered.